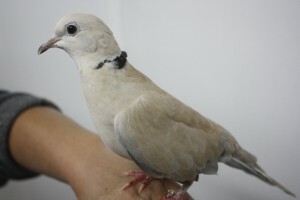 Our Ring-necked dove ambassadors are currently being used for our mobile zoo presentations. They make cooing sounds as well as busting out with a laugh. When feeding their young, doves will produce “milk” for the new born chicks and feed them through regurgitation. As the chicks age, they will start bringing up seeds and fruits to feed the young. Sounds yummy.